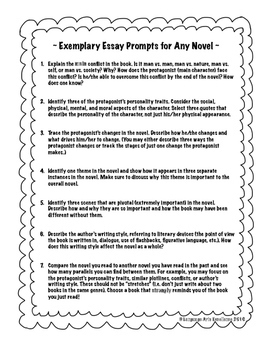 Differentiated Essay Prompts for ANY Novel! 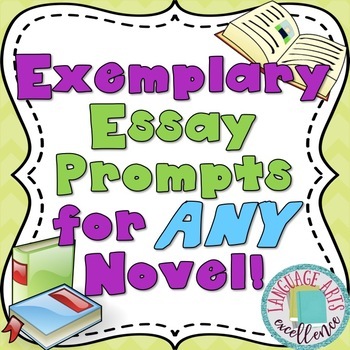 This product features 20 generic essay prompts that will work for any novel. 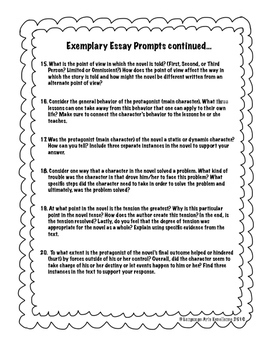 These prompts are differentiated so that they appeal to all learners and give all students a chance to shine in their essay writing! After years of tweaking my essay prompts, I have created questions that are thoughtful and concise so that in turn, they reap excellent student responses. Example: How reliable is the narrator of your novel? Is the reader able to fully trust him/her? Why or why not? Support your answer with three specific and relevant details from the text. 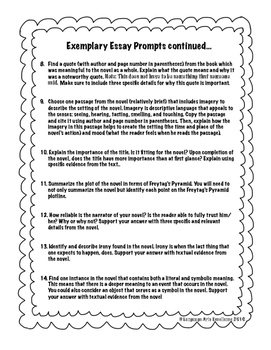 Essay prompts focus on literary analysis and are recommended for middle and high school students. Check out these related resources by Language Arts Excellence to start your year in ELA off strong!